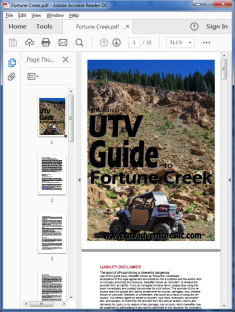 Your UTV Guide purchase comes with GPS tracks and waypoints to help you navigate on the trail. After you have completed a purchase, check your My Account page to find your downloads. You can also view these on your computer either using a program such as GPX Editor, or an online utility such as GPS Visualizer. You can also import these files into your GPS device, or into a navigation app running on a GPS-enabled phone or tablet. Gaia and BackCountry Navigator. Click those links for more information. Gaia is simpler to use, and its feature set is growing quickly. 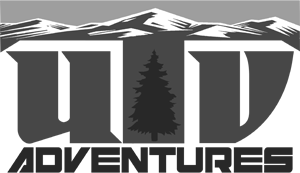 BackCountry Navigator has far more options, settings and customizations, but is more difficult to learn as a result. You can also find information on a decent tablet mounting setup for your UTV here.